Dawn broke on another lovely day in Moonlight Falls. Birds were chirping. Kitties were frolicking. 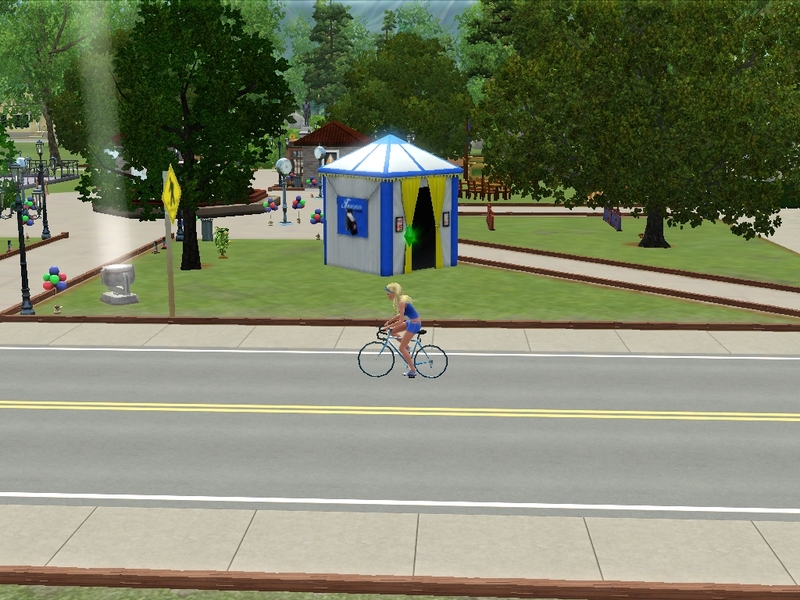 And some lady at the park was spontaneously combusting. Fortunately nobody was seriously hurt. Today was Leisure Day! And I couldn’t think of anyone I wanted to spend it with more. 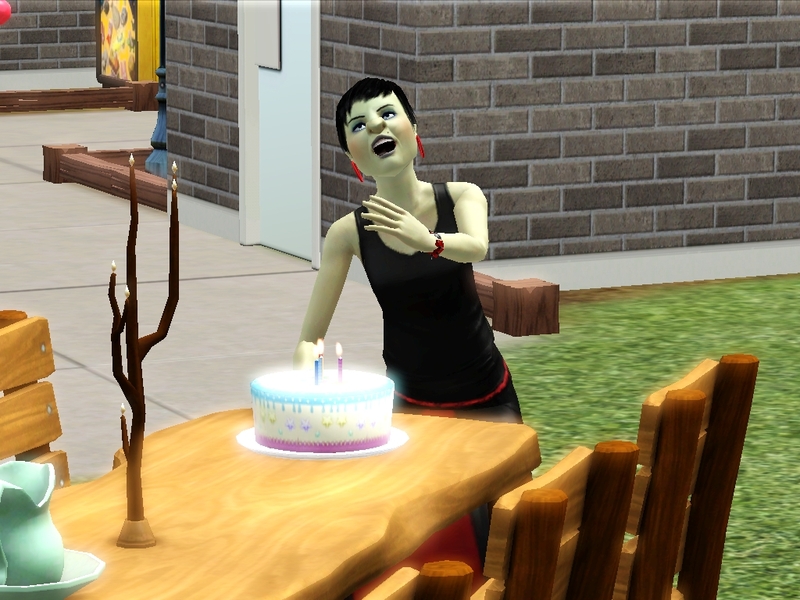 Hetal said she couldn’t meet me at the Eerie Festival Park because she today was her birthday! She wanted to throw some sort of a party. 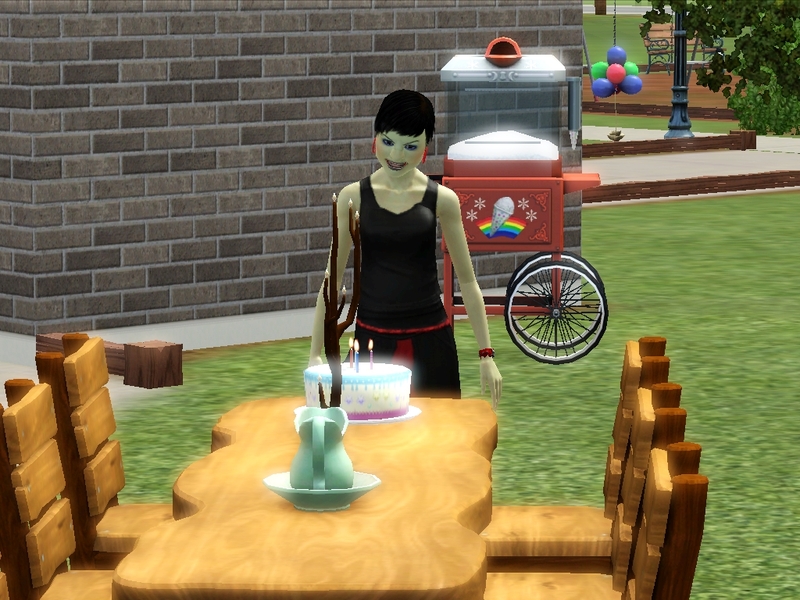 So I immediately headed out to find the best cake I could and bring it to Eerie Park. It wiped out my savings again, but it was to such a great cause! 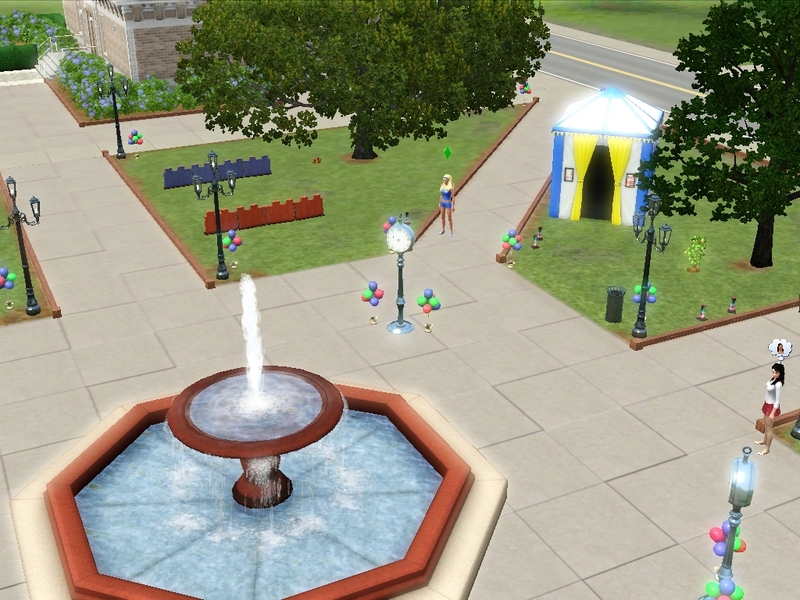 Eerie park was nicely decorated for the summer festival. Hetal arrived right after I did. My, she was nicely decorated, if you know what I mean. I told her she looked like a shining star, the kind of star who could be someone’s lifetime wish. She wanted to know where the cake was, so I showed it to her. She seemed pretty happy. 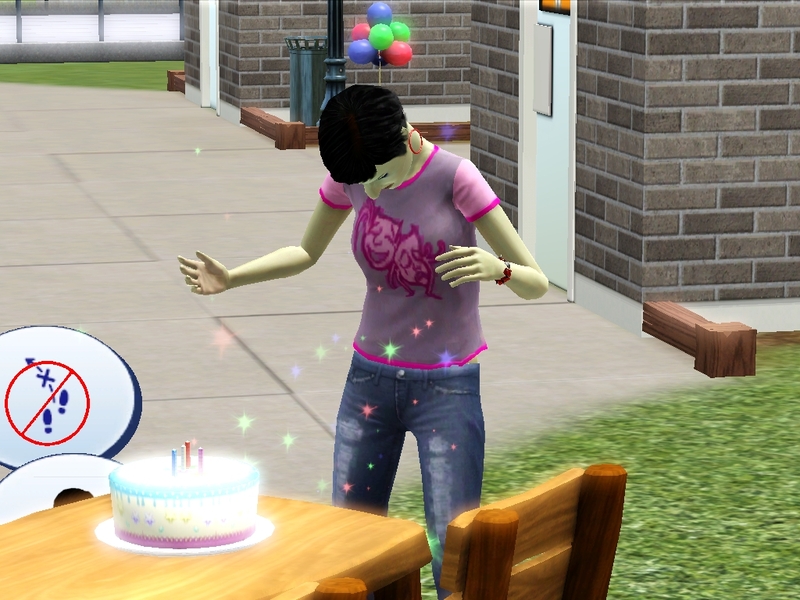 I told her to be quick and blow out the candles. She brought a couple of her girlfriends from school to cheer for her too. Didn’t she age up nicely? Now, I swear I was not obsessing over a highschool girl. My motives toward Hetal while she was a kid were completely pure. But now she’s all grown up, and I have to confess that now my motives are…. not so pure. She’s so smart and lovely! 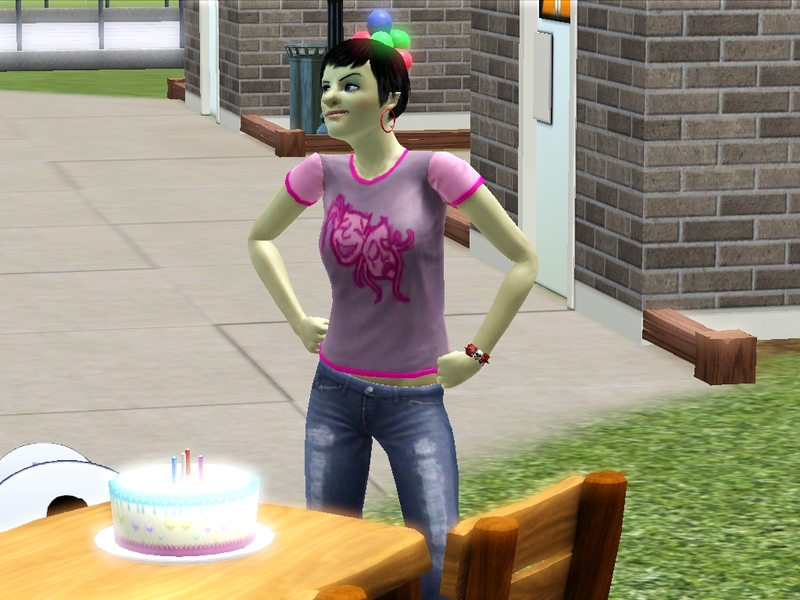 But I couldn’t get a chance to talk to her with everyone crowding in for free cake. And then I really had to go pee. Hey! Who put the men’s room here?? 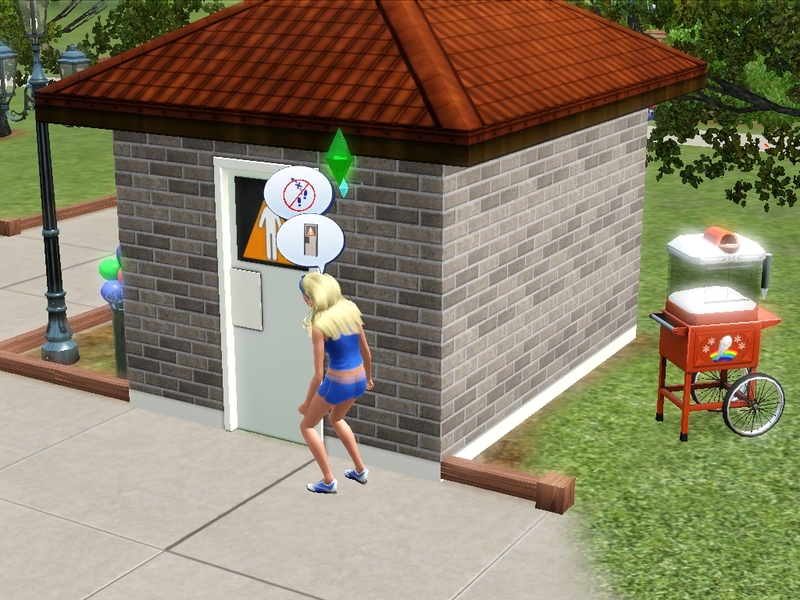 When I finally found the bathroom, I had to take a few minutes to freshen up. I really wanted to look my best! 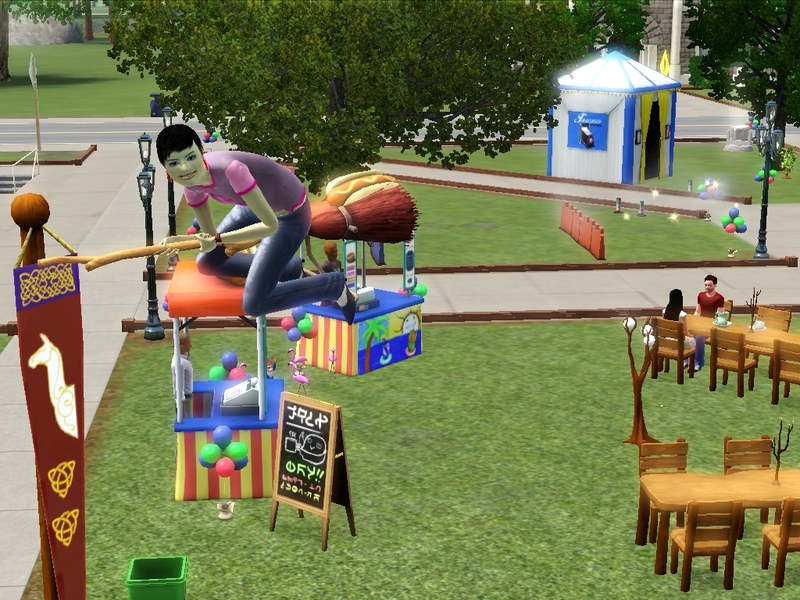 When I got out of the bathroom, Hetal was taking a spin around the broom arena. The wind was in her hair, and her eyes were alight with the adventure of flying. She couldn’t have been more beautiful. I so wish I were a witch and could ride on a broom like that! I gave myself a quick talking to before I lost my nerve. It was now or never! I had to let her know how I felt. She told me I was awfully nice, but she had to go to the bathroom right now. I couldn’t let her go away, so I followed. That didn’t go so well. 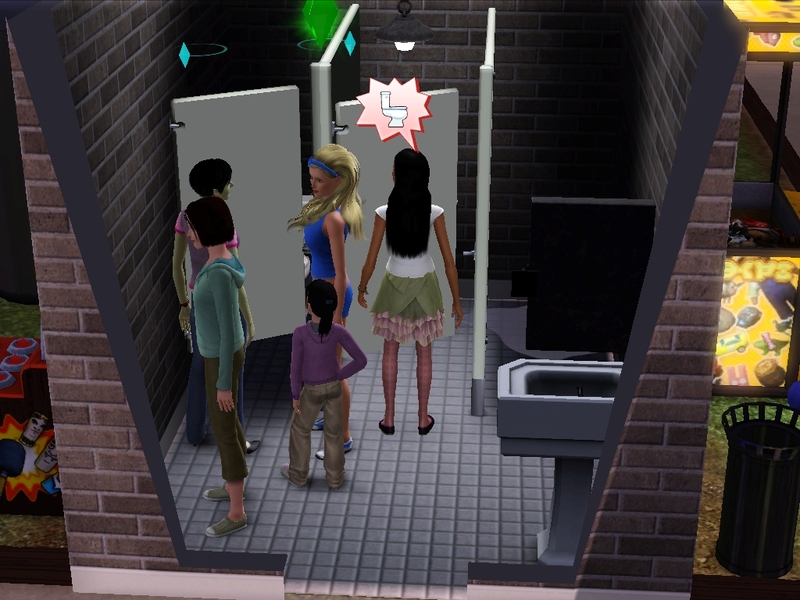 The bathroom was getting to be awfully popular. There was no way I could talk about my feelings here! 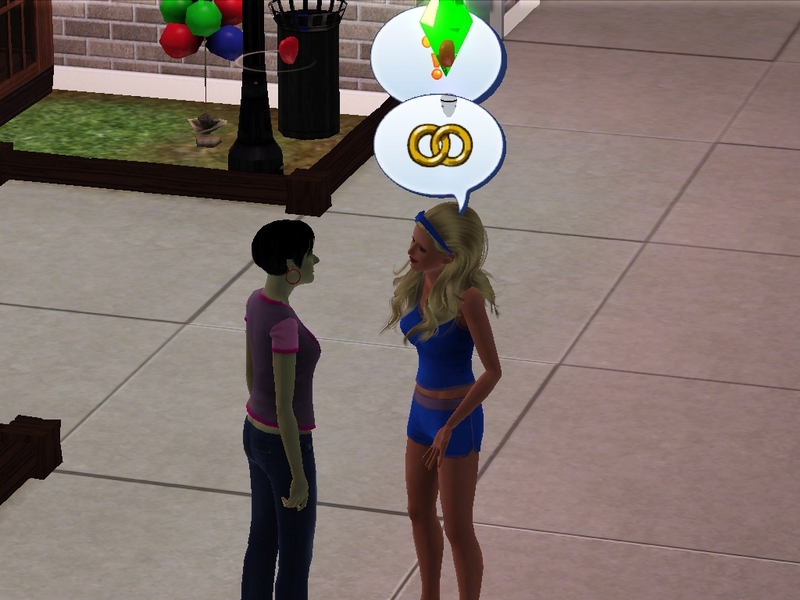 I finally managed to get Hetal to come back outside, where I nervously asked her if she was planning to marry anyone in the next, oh, week or too. She told me that she didn’t have anyone in mind. I was so happy! So happy I kind of lost control of myself. She actually didn’t mind! She said she’d kind of been waiting for me to do that. There, under the stars, Hetal Anjali agreed to be my girl. The rest of the evening was a blur. I could barely see straight on the ride home. I settled down with a slice of leftover birthday cake. 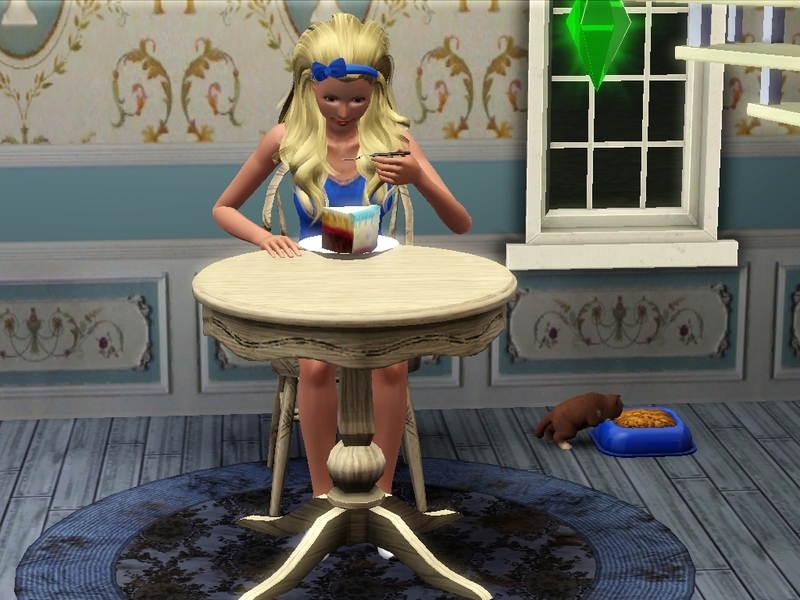 Since I wiped out my food budget to buy it, I was going to see a lot of that cake. That night, I dreamed the best kind of dreams. 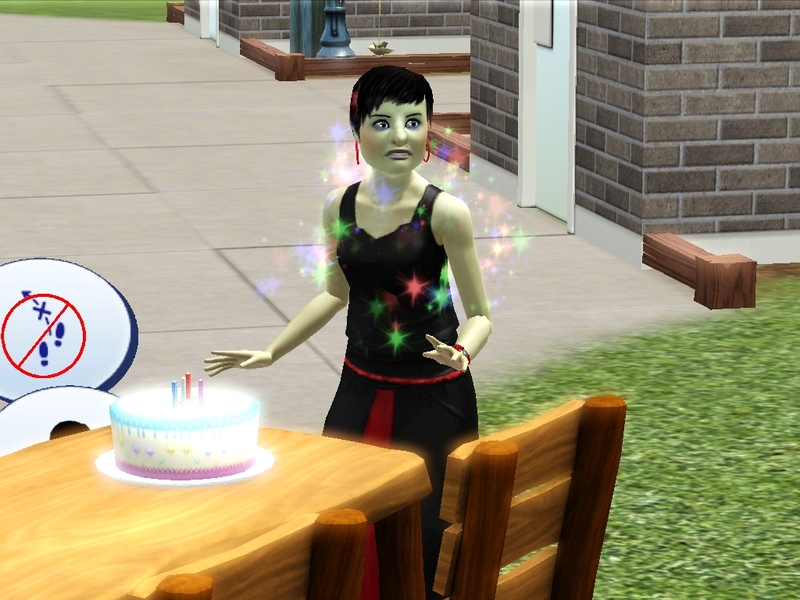 Allison really did roll a high-powered wish to be a witch. I thought about it, but I didn’t lock it in. She’s dirt poor right now, and it doesn’t really match my vision for her. 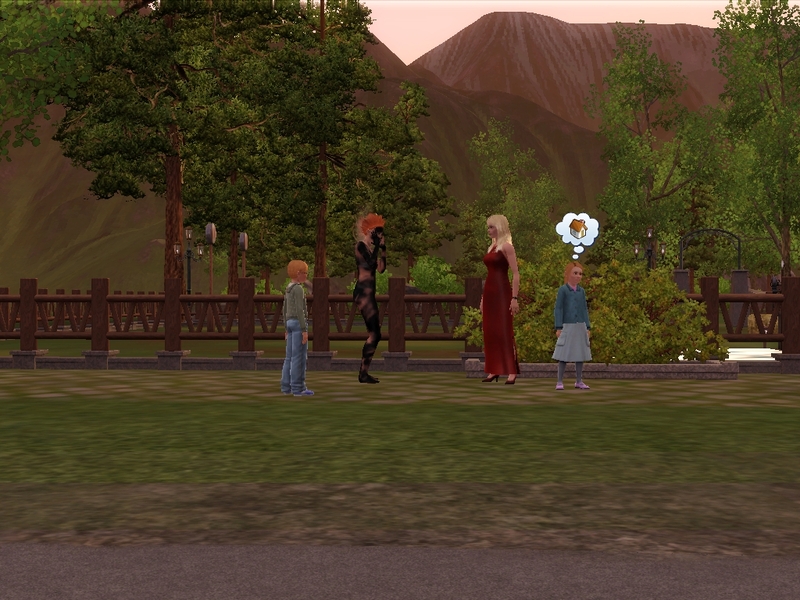 Hetal jumped right in and met Allison with her own autonomous romantics. They do make a cute couple. I’m pretty happy the poll closed before all those William votes could crowd her out 🙂 :). I have my memory upgrade installed, the new Windows 7 virtual machine set up, and so far the game is running like a dream. I’ve only played it on the Wonderland save so far, though. I’m still sort of scared to find out if the Samples are crashing for some other reason…. Wish me luck! 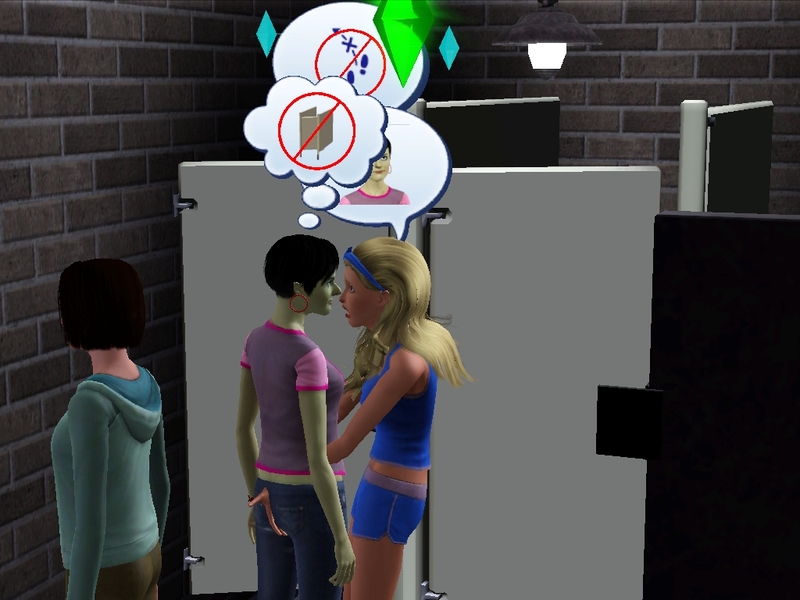 Allison and Hetal are really cute together, but I don't believe for a minute that her motives were pure while Hetal was under-age! It's fun to see how the different insanities manifest! Diana has never licked herself, but she does argue with her body parts. I love that the kitties were so happy at the beginning of the chapter, too. Seems like things are going well all around. Good luck with the Samples! I forgot to mention how much I enjoyed the spontaneous combustion. 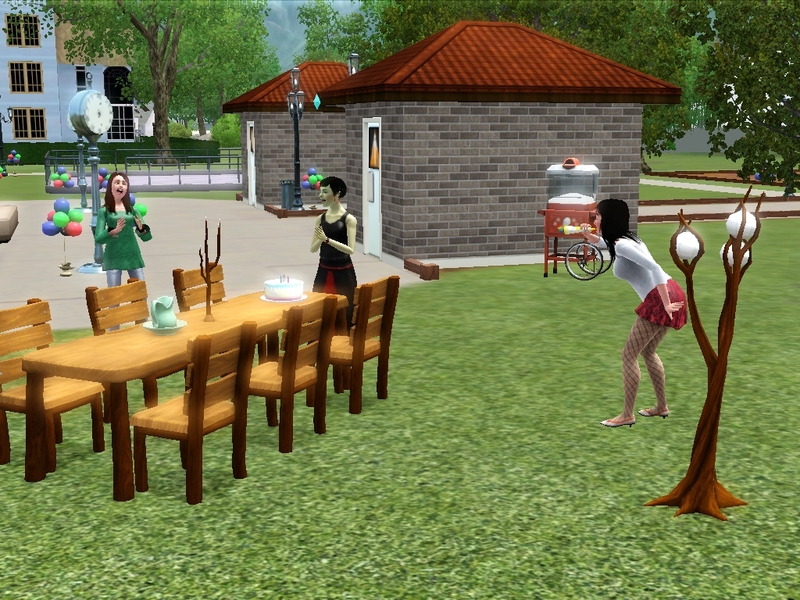 Sims are so weird. Awww, I'm so glad Hetal feels the same way about her! You captured those moments really well in your pictures. And Hetal is really pretty, in her own way. That one picture, where she is riding around on her broom, shows that. Heh. I wouldn't believe Allison either about her motives, but now it's all nice and solved :). There are a surprising number of Insane idles. Jo's Arya seems to argue with her hands and choke herself a lot. I saw Diana do that at least once in your blog, but Allison's never done it. She gets into animated arguments with the air and does that sequence where she washes her face like a cat and then pants like a dog. 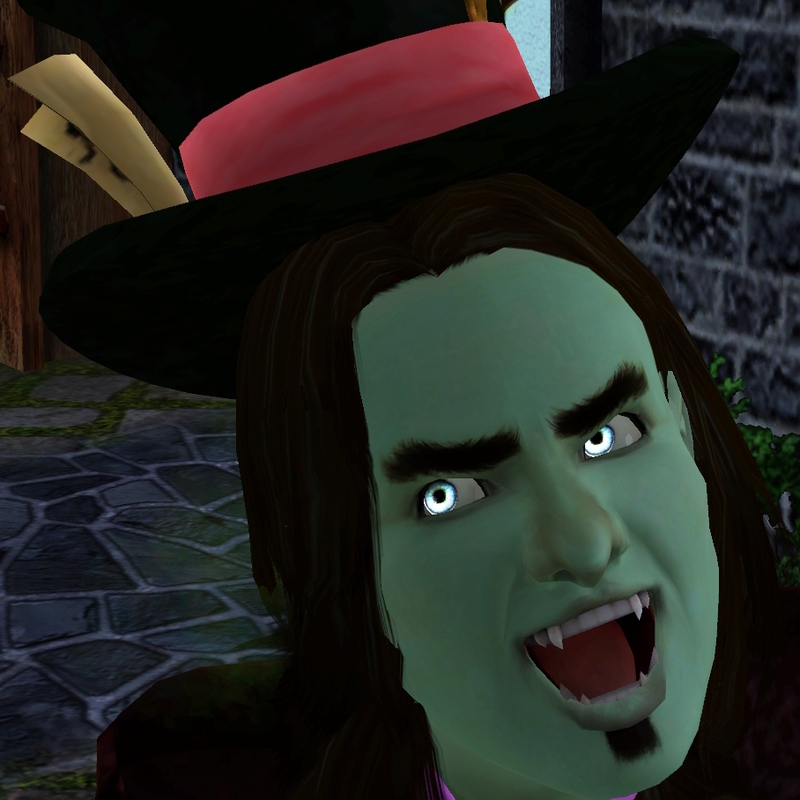 Now that see's an adult, Hetal's nose has become a bit more… nosey. But I still think she has a fascinating and strangely pretty face. That pic of her smiling while she flew was pretty cool. Glad you liked it! "Birds were chirping. 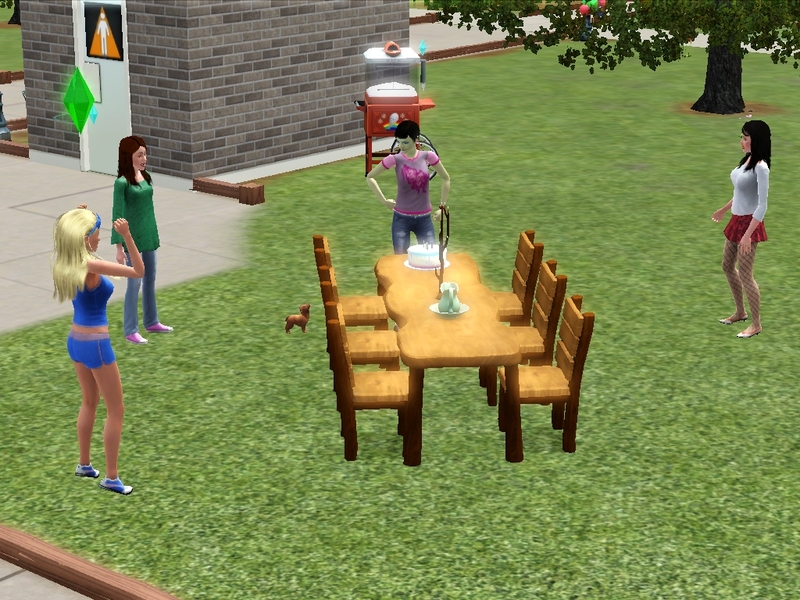 Kitties were frolicking. And some lady at the park was spontaneously combusting." I found this line so amusing. Good job lol!! 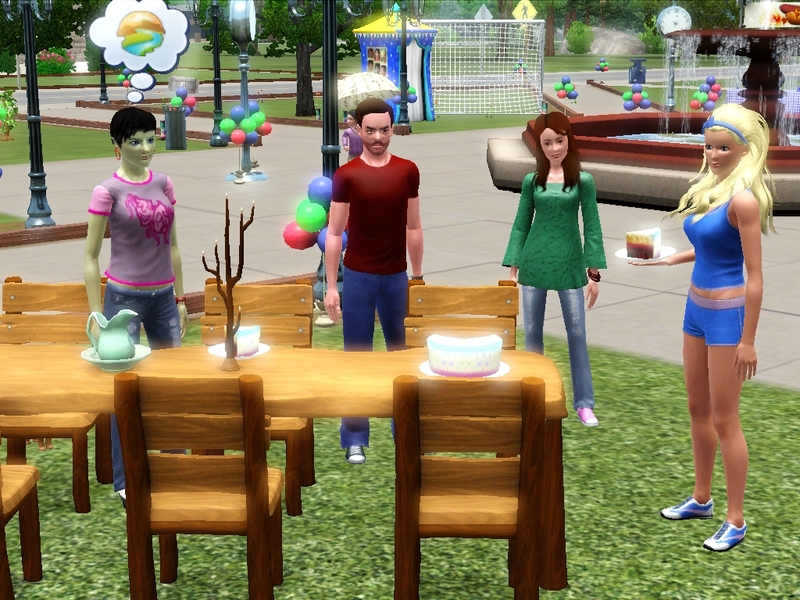 I'm not sure if you know this, but that family is the sim version of the family from the tv show Bewitched. 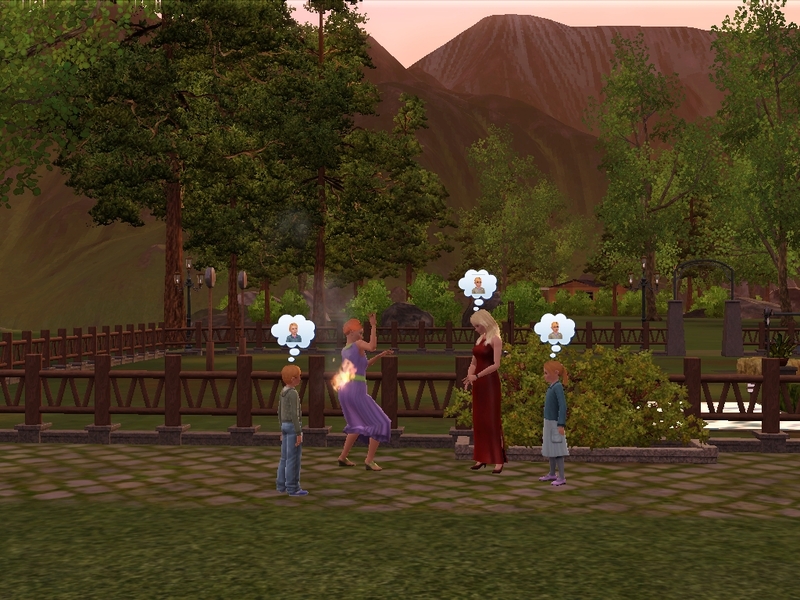 The woman on fire is sim!Endora … She must have caught herself on fire with her own spell. That, or her son in law is wearing an anti-spell shield?! 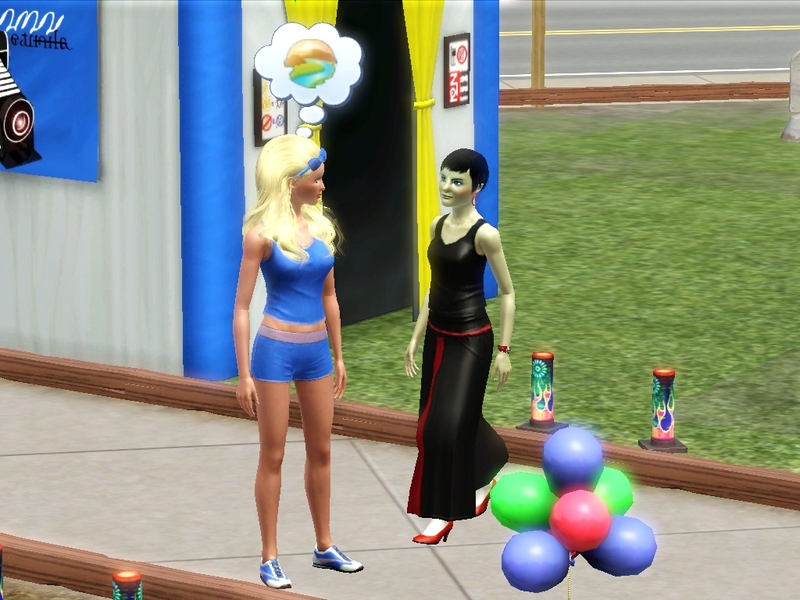 I do think Hetal and Allison are adorable together, but does Hetal have the frugal trait by any chance?